Real estate is one of the most reliable long-term investments you can make. Although, as with all investments, you should only get involved if you’re prepared to lose some of the money you put in, the statistics make it clear how reliable that the U.S property market has been for the best part of 80 years. The U.S Census Bureau shows that American real estate consistently increased in value between 1940 and 2006. It dipped and rebounded between 2008 and 2010, but has still been increasing overall. Real estate outperformed the stock market by almost two to one between 2000 and 2017. Figures show that real estate earned an average annual return of 10.71% during this time, compared to 5.43% or stocks. Plus, there’s historically been far less volatility in the real estate market. Statistically, the longer you hold onto the property, the lower your risk of loss is. The risk never changes in the stock market. These returns come not only from the investment appreciating in value, but also from the rental yields that can be earned from renting your property out to a tenant. In most parts of the United States, it’s extremely common to be able to find a tenant who will pay enough rent cover the cost of your monthly mortgage, plus enough to cover the costs of maintenance, leasing agents, and have a bit left over for profit. No wonder so many investors are eager to expand their portfolio of rental properties as soon as possible. The process of purchasing a buy-to-rent property is extremely similar to buying your family home. You’ll need to raise the money for a mortgage deposit, get approved for a mortgage in principle, search for a suitable property, launch an offer, go through all the necessary checks and legal formalities before ultimately exchanging contracts. The main differences are that buy-to-rent mortgages typically require larger deposits than standard mortgages. The deal may also contain more specifics with rules with regards to tenants and leasing agents. If you’re looking for a property to invest in, but not necessarily live in, the qualities of your ‘dream home’ are likely to be a little different. Instead of searching for a home that you would love to live in, it’s more important to find a home that the masses would find appealing. It’s likely that getting the property for under market value will be important for you, while the reputation of the surrounding area (and therefore the likelihood of house prices rising in the future) will also matter. Buying houses under market value is something of an art. To make big profits, it’s useful to search for houses in an expensive area that are in somewhat of a dilapidated state compared to the neighboring properties. In many cases, the house that’s rough around the edges can be lower than the cost of the neighbors house, then sold at the same cost or more after they’ve been refurbished. Many investors make an entire living just out of doing this. Finding these properties isn’t easy, although you can hire an investment broker to do it for you. Many rental property investors are actively involved in the practice of buying property, only to sell it for a property a short time later. This is known as ’flipping’ property. When doing this, you may not necessarily need to apply for a mortgage at all. Instead, you can apply for a bridging loan, which is a short-term loan for a large amount of money that investors can gain when they can prove they’ll be able to repay imminently. It’s common for investors to be granted bridging loans when flipping property, although they’ll need the experience to be able to show lenders that their deal is going to be profitable. The key to ‘flipping’ a house successfully is having a low bid accepted for the property. This makes it far easier to re-sell it for a profit. In order to make a sizable profit in a short amount of time, it’s likely to be necessary to make some renovations. This requires a good knowledge of which renovations are most likely to boost the value of the house in a potential buyer’s eyes. There is plenty of research published every year, which reveals what renovations provide the best return on investment when it comes to selling the house. Kitchen and bathroom renovations often top these polls, while any work is that increases the surface area is reliable for improving the house price too. Major renovations like this aren’t always necessary though. Many properties are successfully flipped just by giving the house a few minor touches. Sprucing up the front of the house with some new windows, some expert landscaping, or a coat of paint to improve buyers’ first impressions is a good strategy. Renovating a home for a profit can be a bit risky if you don’t know what you’re doing. Many investors will find an experienced partner who is clued into the cost of property renovations and the likely value it will add. Of course, unless you’re an expert handyman, you’ll need to invest in some quality manual labor to ensure the work gets done to a satisfactory standard. It’s in your best interest for this labor to be completed quickly, as you’ll struggle to sell or find tenants for the house while it’s in a state of disrepair. The most important factor you want to look for in tenants is that they’ll be able to pay rent on time and not end up in arrears. Other things to consider is how likely they are to take care of the property while they’re inside it. There are tenant referencing services, which will run the rule over a tenant’s income and credit record. It’s in your best interests to invest in these. Newer tenancy screening systems may even let you know their about criminal history and employment history. If there is a lot of demand for your property, you might want to meet potential tenants (or invest in a trustworthy leasing agent to do it) so you get a sense of their personality and whether they’re the sort of person to respect your home. When you meet them, ask how long they plan on living in the area for. Long-term tenants who will rent for a lengthy time and don’t cause any fuss will save you a lot of stress and money searching for replacements. Landlords are increasingly being encouraged to screen the social media profiles of prospective tenants as well. The biggest difference between owning a rental property and the one you live in is the amount of work involved with ensuring that brings in a regular income. By default, property owners are responsible for finding tenants, drawing up tenancy agreements, collecting rent, and organizing and paying for property maintenance. There are many regulations surrounding the efficiency with which you perform these tasks. These will all be detailed within the tenancy agreement, as well as the rules that the tenants agree to. Bear in mind that you’ll have to give written notice to enter the property once it’s rented out to tenants, and you won’t be able to sell or move back into the property during the period of the tenancy. Once you have a few properties in your portfolio, being a landlord could involve as much work as a full-time job. This is why many landlords outsource these tasks to an agent. Leasing agents, or property managers, will take care of all the tasks listed above for a monthly fee. This will usually be expressed as a percentage of your rent. The most experienced agents will usually charge more, but they’ll save you a lot of stress in the long run. It’ll also be easier to attract tenants (and avoid vacancy periods) if you’re working with an efficient leasing agent, so don’t cheap out here. To find a good agent, consider how well they communicate with you, how many years of experience they have, how many properties are on their books, etc. Ideally, they’re a member of the local association of leasing agents, as this means they are forced to serve you to a defined set of standards. There are ways to invest in the United States property market without having to actually buy a house or apartment. If you don’t have the funds for a mortgage deposit and don’t want to play around with bridging loans, these options may suit you better. Buying shares in Real Estate Investment Trusts (REITs) are one means of doing this. These are companies that own commercial properties, such as office blocks, hotels or retail spaces. The price of the shares are heavily based on the value of these properties, plus these firms often pay huge dividends too. Many investors will reinvest these dividends for even faster profits. Publicly-traded REITs can be purchased through online brokers and tend to be the least risky investment. It’s generally recommended for newbie investors to stick to these. Buying shares in housebuilders is another way to get involved, as these share prices tend to mirror the U.S. property market. 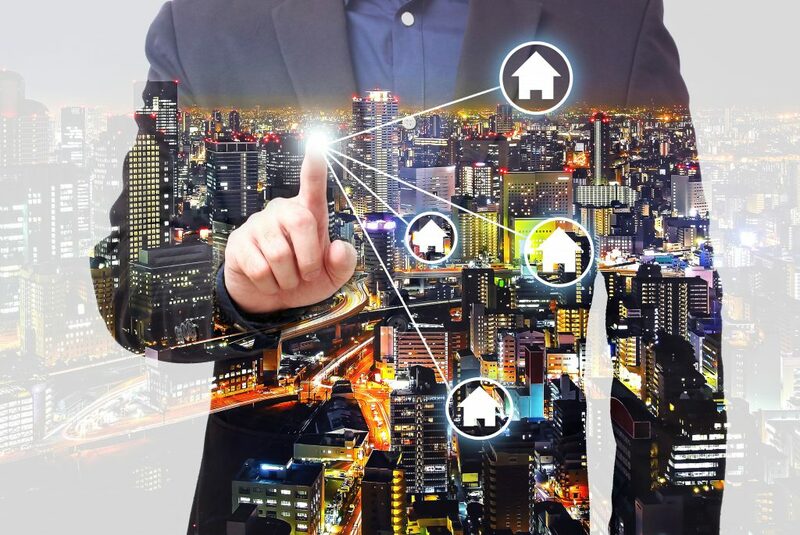 Online real estate platforms connect investors with developers who need money to finance their projects. The illiquidity of these investments more than more speculative, and you typically need to be a high-earner to get involved with these projects. All of these alternative investments are historically more volatile than the property market. It’s likely you’ll pay multiple taxes on your investment properties. Your rental income will be charged as income tax. Income is taxed at the federal level and potentially a state level as well. At the federal level, this falls under ‘investment income’. This is subject to a 30% withholding tax, if such income is considered to be Fixed Determinable Annual Periodical (FDAP) income, which rent certainly is. Income is taxed at the state level in all but seven states (Alaska, Florida, Nevada, South Dakota, Texas, Washington State, and Wyoming) although in New Hampshire and Tennessee you won’t be taxed on rental income either. These states make money in other ways, which is worth reading up on if you have property or any business based there. Your tax rate will be tiered based on the total amount of income you bring in. Most states charge capital gains on property as income too, so you could be left with a hefty tax bill when the times comes to sell. However, it is usually possible to claim tax breaks on many operating expenses and costs associated with running a rental property, including mortgage interest, cash flow from investment properties, insurance, and depreciation (even if the property gains value). These can be tough to get your head around, so it’s usually well worth a property investor paying a professional accountant to calculate their tax bill. DIVING IN TOO QUICKLY: When you hear about the ability to ‘flip’ properties for fast and huge profits, access bridging loans, and building huge portfolios, it’s easier for newbie investors to get carried away. Eager to have it all as soon as possible, they quickly dive into buying an unsuitable property before they’ve built their portfolio up. You should take the time to weigh up a property’s potential with as much care as if you were going to move into it. If a property is too far away for you to personally view, you need to work with a broker with a strong record of success who you can really trust. POOR CASH FLOW MANAGEMENT: Managing a huge portfolio of properties isn’t easy at the best of times, and it’s recommended to work with an accountant before making a significant financial decision. A big newbie mistake is making a misjudgment about their cash flow and agreeing to an investment they can’t afford. This can cost them their perfect property if they don’t act quickly. Ideally, you never want to be in a position where you have to sell one property to finance another deal because this will present you extracting the maximum value out of your original investment. FAILING TO DIVERSIFY: By putting all of your savings into New York properties, you’re making yourself overly reliant on this micro-market performing well. Intelligent investors will spread the risk by investing all across the United States, and perhaps even overseas. If you’re planning on spending your retirement relaxing in a holiday home in the sun, you might as well buy it now and make some profit out of it. TRYING TO GO IT ALONE: Leasing agents, investment brokers, and professional handymen will all take a significant chunk of your profits, but trying to do their job by yourself when you don’t have the skills to do so is a false economy. Many property investors have been able to turn a profit while outsourcing certain tasks to the experts, and there are fewer mistakes to rectify as a result. There’s no reason why you shouldn’t do the same. WHO IS PROPERTY INVESTMENT RIGHT FOR? If you’re looking to lock up money into a long-term investment, property investment could be a great choice for you. There’s a lot to learn if you’re looking to make the biggest profit possible, but you also have the ability to outsource certain tasks to qualified experts such as leasing agents or property brokers, and still make a decent profit. Do this, and you’re pretty much good to go with this basic information in hand. You could decrease the risk surrounding your investments via diversification. You could invest in properties all across the United States or even overseas. Of course, you could lose a bit of money if you’re forced to sell at short notice, although this is less likely to occur when it’s your second home. A big part of real estate investment is about timing the sale correctly. Investors should be warned that there a risk of losing money on the wrong property, especially in a bubble, although all property bubbles since the 1940s have eventually corrected themselves in the long-term. To learn more about everything New Western can do to help you purchase the perfect investment property, get started with the form below.